Note: these are brand new Compatible Cartridges with microchips fitted. Simply insert and print exactly the same as the genuine cartridges. 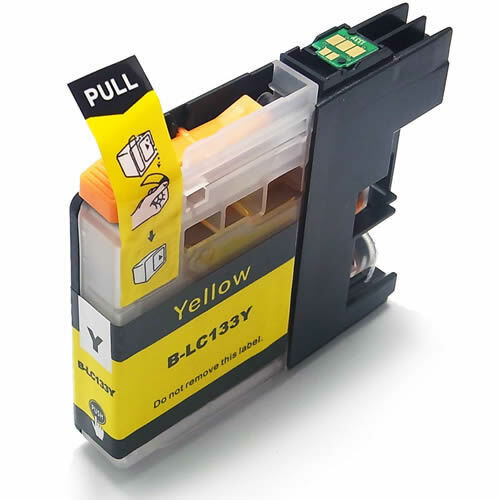 The Brother LC 133Y (LC133Y) ink cartridge utilises the very LATEST micro-chip. Unlike many online retailers who are selling Generic Brother inks with out dated micro chips which WONT BE RECOGNISED by your Brother printer ours are the very latest updated version which are GUARANTEED to work.